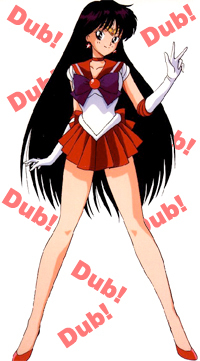 moonkitty.net: Will the new Sailor Moon anime in 2013 be dubbed in English? Will the new Sailor Moon anime in 2013 be dubbed in English? While it has been confirmed that the new Sailor Moon anime due for release in Summer 2013 will be released simultaneously worldwide, it has not been confirmed it it's initial releases outside Japan will be subbed (original Japanese audio with English subtitles) or dubbed (Japanese voices replaced with English voices). My personal opinion is that we will definitely get an English subbed release most likely through online streaming services hours after the initial airing in Japan. There's no way that they would just release a raw Japanese anime to non-Japanese speaking fans. The English dub will also happen though my guess is that we will get this on the eventual DVD and Blu-ray release a few months after it first airs/streams subtitled. Given that the new Sailor Moon anime has been announced almost a whole year ahead of time, it is possible that non-Japanese language versions are being produced simultaneously with the Japanese audio version and could be released at the same time of the subtitled version. TOEI and Naoko Takeuchi could also do something unusual and request that all first airings outside of Japan be in the respective country's language. We really don't know what will happen until more information is given. This page will be updated with more information as it's released as will my New Sailor Moon Anime Information Page which collects all of the information known so far about this exciting new anime! 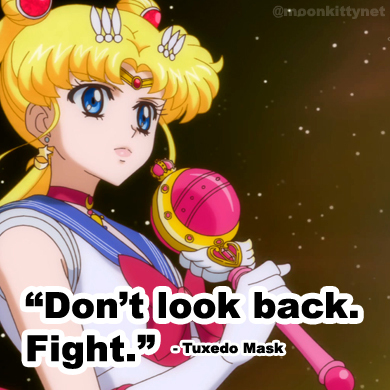 Stay tuned Sailor Moon fans! Thanks to CrazyGamerXD for asking this question via twitter.